Traffic Interception/Redirection - When joining an untrusted network, there is a real risk that malicious individuals may intercept your traffic or redirect your requests to mock-up sites meant to capture your credentials. Even if you join a wireless networks secured with a static preshared-key (i.e. at a conference), you should importantly not misperceive this as a significant security measure. Other individuals with access to this key can relatively easily sniff and decrypt traffic. Traffic Filtering and Restrictions - Do you have unfettered access to information and sites from the location you are connecting from? Are you restricted to particular kinds of Internet applications on this link? These types of concerns have spurred the increasing growth and popularity of Commercial Personal VPN Services. For less than $20 per month, these providers off you the ability to encrypt and tunnel all your internet traffic. The merit of these services is that it raises the bar significantly for prying eyes as well as gives you greater control over your online "point of presence" -- the location where your traffic is decrypted and routed to the Internet at large (see diagram below). Whereas in the past VPN services were usually only employed by organizations to provide secure remote access to internal resources, it is now feasible for individuals to also employ a personal VPN to enhance security and privacy of their individual network traffic. 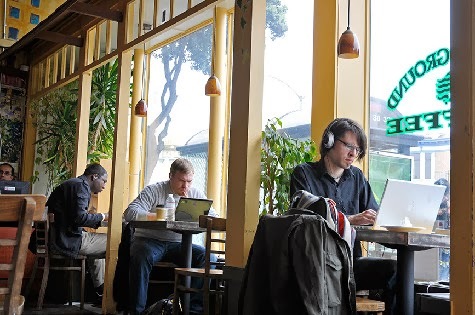 Another factor driving the adoption of personal VPNs is the DIY community and low cost methods for deploying services using cloud computing resources. It is possible and often less expensive to set up your own low-cost VPN using OpenVPN and Amazon EC2. For those with the time, interest, and inclination to test out their own personal vpn, the steps below provide an outline of a basic build. *Important Note: These instructions are intended for personal usage on untrusted networks only. For business or organizational systems, you should consult with your IT group to determine what VPN services may be available and approved for authorized use. Using a non-approved VPN within certain networks may be considered a violation of policy as well as an organizational security issue. For this build, I will use Ubuntu Server 12.04 LTS running on an Amazon EC2 micro instances that is eligible for free utilization. If you've never used EC2 before you will definitely need to familiarize yourself with this platform. Use Micro Tier (t1.micro, 613MB) for test setup. Eligible for free usage tier. Save and Backup Your Key Pair (PEM file). Don't lose this file! You will need to access your EC2 instance. Create A Customized Security Group that allows inbound access to SSH (TCP 22) and our custom OpenVPN port (UDP 443). After your instance has started, you will need to access it using SSH and the Key file you saved. Once the instance has booted, we need to perform some software updates and installs. OpenVPN supports two secure modes of operation, one employs a pre-shared static key (PSK) and another is based on SSL/TLS using RSA certificates and keys. The PSK method has the benefit of simplicity, however it is not the most secure method (if anyone intercepts this key then all traffic could potentially be decrypted). For this reason, we will use the SSL/TLS method. First off, we will want to copy the OpenVPN example files to obtain the scripts we'll need to establish a local certificate authority. Now we will want to set some initial variables that will allow easy-rsa key management scripts to function. Note that we are using a 2048 bit key for additional paranoia. At the end of this step you should now have several files residing in /etc/openvpn. Here is a break-down on what these files are. Note the push directives. These route all traffic through our VPN server and also change the DNS settings for the client upon connection (moving DNS handling to VPN server). To route Internet traffic for connecting clients we'll need to set up a basic NAT firewall config. We'll do it manually first and then drop some rules in /etc/rc.local for quick/dirty persistence. We will set up DNSMasq to localize DNS request handling and also provide some acceleration (via caching). Some quick and dirty lines in /etc/rc.local to bring NAT up and make sure that dnsmasq is running. To setup our client, we will need the CA certificate, client certificate, client public key, a openvpn client configuration, and an openvpn client. First we can tarball the client information we need and then download this via sftp. In addition to download this tar file, we will also need to set up a basic client config like the one below. In general to configure a client, you will want to extract all the files from the tarball you downloaded and then copy all of these files along with the client configuration (see above) into one common folder. The last step is to import or load the client configuration file. 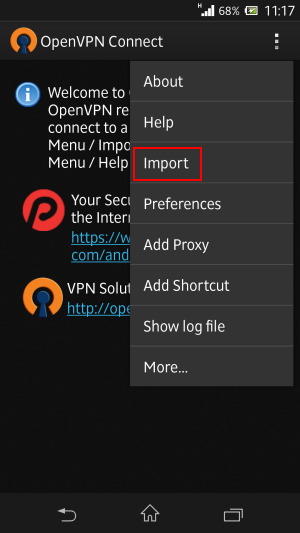 Note that occasionally some clients will look for a file with a ovpn extension for import. This is simply a flat text configuration file (same as above). Keep in mind if you are adding new clients, that you will need to create new keypairs (see step #7). Troubleshooting: Most client software will give you a status indicator concerning whether your VPN tunnel is established. However you can also test this by pinging the remote tunnel interface on the OpenVPN server at 10.8.0.1.